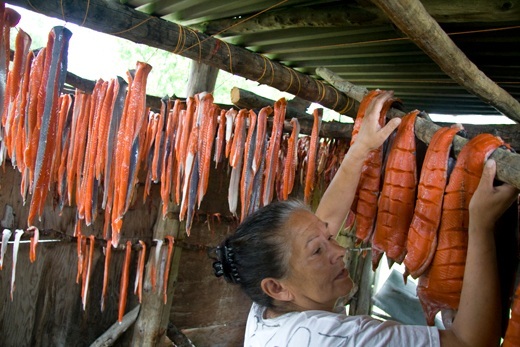 Bristol Bay, Alaska is home to the world's largest wild sockeye salmon fishery, which has supported the subsistence livelihoods of the Bay’s Native Alaskans for thousands of years. This stunning piece of Creation is now under threat from a proposed open pit mine that would destroy the salmon habitat and cause irreversible damage to God’s Earth and God’s people. Add your voice to the call for permanent protection of Bristol Bay. The Environmental Protection Agency (EPA) recently issued their Bristol Bay Watershed Assessment, which describes the damage that large scale development such as the proposed Pebble Mine could pose to the Bay’s clean waters, fish, wildlife, and people. Presbyterians for Earth Care joins the National Council of Churches and people of faith around the country in standing with the Native Alaskans and commercial fisherman who depend on the health of Bristol Bay’s fishery. We ask the EPA to use the Clean Water Act to protect Bristol Bay from the irreparable harm the proposed mine would cause God’s people and Creation in and around the Bay. Click here to send your message to the EPA asking them to permanently protect the world’s largest wild sockeye salmon fishery, 14,000 American jobs, and a Native way of living that is thousands of years old. "Think those chemicals have been tested?" So started a recent article in a national newspaper. When it comes to the chemicals in dozens of products we use every day, the answer is "No." Tens of thousands of chemicals remain in everyday products, such as cleaners, food containers, furniture and even children's products without being tested for safety. Under current law, the EPA can call for safety testing only after evidence surfaces demonstrating a chemical is dangerous. As a result, the EPA has only been able to require testing for roughly 200 of more than 84,000 chemicals currently registered in the United States. Can we do anything? Senators Gillibrand (D-NY) and Lautenberg (D-NJ) have introduced the Safe Chemicals Act of 2013. They need the help of people of faith to move it out of the Environmental and Public Works Committee. Please consider signing GreenFaith's petition urging Senator Boxer (D-CA), chair of the committee, to move the bill out of the committee without amendment. The Safe Chemicals Act of 2013 would give the EPA the tools it needs to collect health and safety information, screen chemicals for safety, and require risk management when chemicals cannot be proven safe. Click here to learn more about the Safe Chemicals Act and why its important. As people of faith, we are called to care about God's Creation. These chemicals may be harmful to the earth, and to humans, we do not know. What we do know is that the CDC has found more than 212 industrial chemicals in American's bodies, and that babies are born with chemicals already present in their bodies. Paul says the body is a temple of the Holy Spirit. Americans' bodies are temples full of chemicals. Please sign the petition today. Or call your Senators and see if they have signed on as a co-sponsor to the bill, and if not, urge them to. It is important to the future of God's Creation. Holy One, so many of the people we have sent to Washington to represent us work diligently on behalf of our earth and its inhabitants. We ask blessings on them as they work through overwhelming amounts of information and misinformation. Give them vision and strength and give us the wisdom to support them as they seek understanding and take action. Register for PEC's 2013 Conference! God, our gracious creator, redeemer and sustainer, bring us together to teach and inspire us that we might seek your justice for the earth and its peoples. Amen. 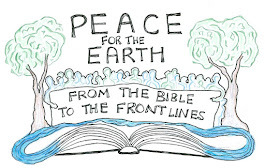 As you begin your vacation and conference planning for this year, please keep our PEC 2013 Conference “Ethical Earth Care: Keeping Creation Sacred” a priority. The conference is October 16-19 at Ferncliff Camp and Conference Center in Little Rock, Arkansas. It is a critical time for those of us who know the crisis that our planet is facing to gather, be in community, and seek new ways of sustainable living and being. At the conference, there will be opportunities to learn, reflect, share and plan ways of seeking environmental and social justice, immersing ourselves in new ways of honoring the sacred space of the Earth. Our plenary sessions will be led by Larry Rasmussen, ThD, who will draw us toward an “Earth-Honoring Faith.” Worship and music led by the Revs. Neddy Astudillo and Bryan McFarland will invite us to engage our souls and faith in this work. All will guide us toward a deepened vision, seeking a new song in a strange land. Our diverse workshop options will provide a vast array of opportunities to delve into Celtic spirituality, greening congregations, the connection of environment, poverty, and violence, as well as the connection between our local-global food supply and the importance of food sovereignty and much more. Advocacy opportunities include information and action in response to mountain top removal, fracking, clean water and air, chemicals and our health, and more. Come to share time with Rebecca Davies, Andrew Kang Bartlett, and Leslie Woods of the Peace, Compassion, and Justice Division of the PC(USA) as we work toward renewed vision together. Plan to join us for the pre-conference tour on Wednesday of Heifer International headquarters and the William J. Clinton Presidential Center. If you are able to join us, plan to arrive Tuesday and stay overnight at Ferncliff. The staff will meet you at the airport when you arrive. Shuttle service is provided at no additional charge! Please click here to view our full conference brochure and click here to download and share the tri-fold brochure with your congregation. Click here to register for the conference through the PEC website. For questions, please contact Elspeth Cavert at presbyearthcare@gmail.org. We will look forward to our gathering and seeking a more just and sustainable society.